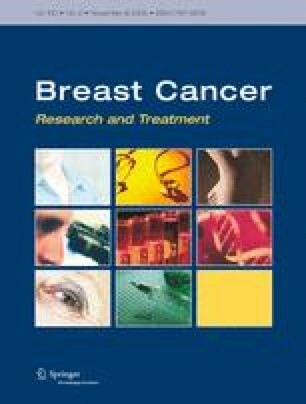 Among breast cancer survivors, we identified the prevalence and correlates of use of different types of complementary and alternative medicine (CAM). We included 2,022 women diagnosed with breast cancer 1998–2003 who responded to a survey about CAM use. We performed logistic regression to determine demographic and disease factors associated with use of different CAM therapies (including relaxation/imagery, spiritual healing, yoga, energy healing, acupuncture, massage, chiropractic, high-dose vitamins, herbs, and homeopathy). We also measured quality of life (QoL) using the SF36 and optimism using LOT-R and fit linear regression models to compare mean scores among CAM users and nonusers. Sixty-two percent of respondents used CAM. Younger age was the most consistent correlate of CAM use, but factors associated with CAM use varied by type of CAM. Chemotherapy was associated with use of relaxation/imagery (OR 1.3 95%CI 1.1–1.7). Radiotherapy was associated with use of high-dose vitamins (OR 1.5 95% CI 1.2–2.0). Tamoxifen or anastrozole treatment was associated with use of homeopathy (OR 0.5 95%CI 0.3–0.9). Users of most types of CAM had worse QoL scores than nonusers, but better QoL was found among users of yoga. The lowest QoL scores were associated with the use of energy healing. Optimism was higher among users of relaxation/imagery. Factors associated with CAM use varied according to type of CAM. Our finding of worse QoL among women using energy healing and better QoL among women using yoga suggests the need for longitudinal studies to determine the temporal relationships between these therapies and QoL. This work was presented in part at the 28th Annual Meeting of the Society of General Internal Medicine, New Orleans, LA, May 11-14, 2005. Dr. Buettner is supported by an NIH Institutional National Research Service Award, Grant No. T32–AT0051-03 from the National Center for Complementary and Alternative Medicine (NCCAM). Dr. Phillips is supported by a NIH NCCAM Mid-Career Investigator Award K24–AT000589. The work reported in this manuscript was supported by CA87969, the main Nurses’ Health Study grant. Although this work was supported by the National Center for Complementary and Alternative Medicine, its contents are solely the responsibility of the authors and do not necessarily represent the official views of the National Center for Complementary and Alternative Medicine, National Institutes of Health.